Our pumpkins were practically still lit when Target came out with their holiday decor collections, which always seems too abrupt, but their decor for holiday is absolutely killing it (per usual) so I don't even mind. I'm so on board. I love decorating for the holidays but I like to keep it subtle. Anything I buy has to be flexible enough that it could pass as everyday decor (besides our Christmas tree, of course). 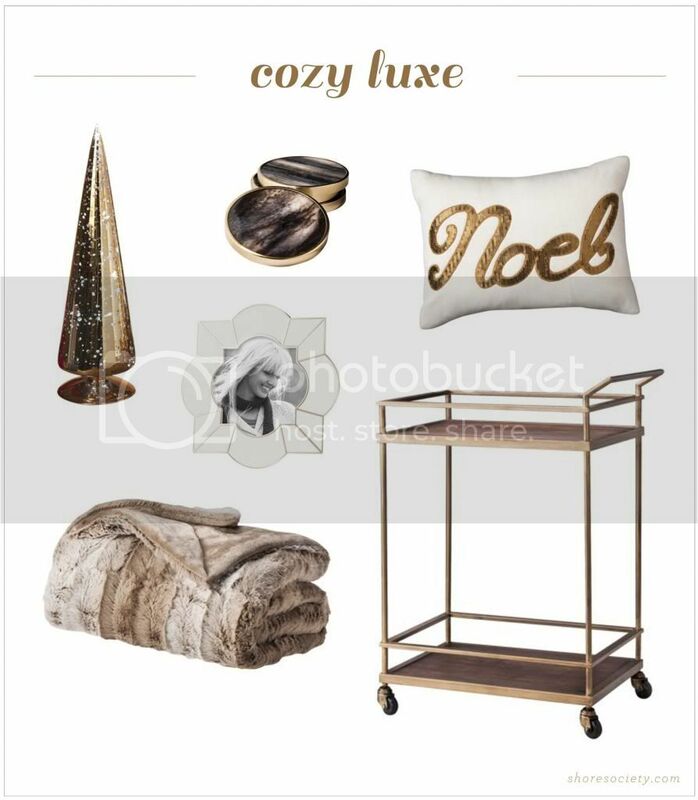 Typically I keep things neutral and just add a lot of sparkle and metallics, which is why these Target finds are getting me right into the holiday spirit. Affordable and chic—there's really nothing better. Have you started to decorate yet? I wanted to keep my pumpkins and wheat up until Thanksgiving, but I'm not sure I can wait much longer for Christmas to move in! Ahhh, I love each and every one of these! Did you get any for your house? Cooper told me he wants that blanket. Oh goodness I need that golden tree. And blanket. And pillow.